So you’ve been accepted to med school. Now, it’s time to start preparing for the journey. 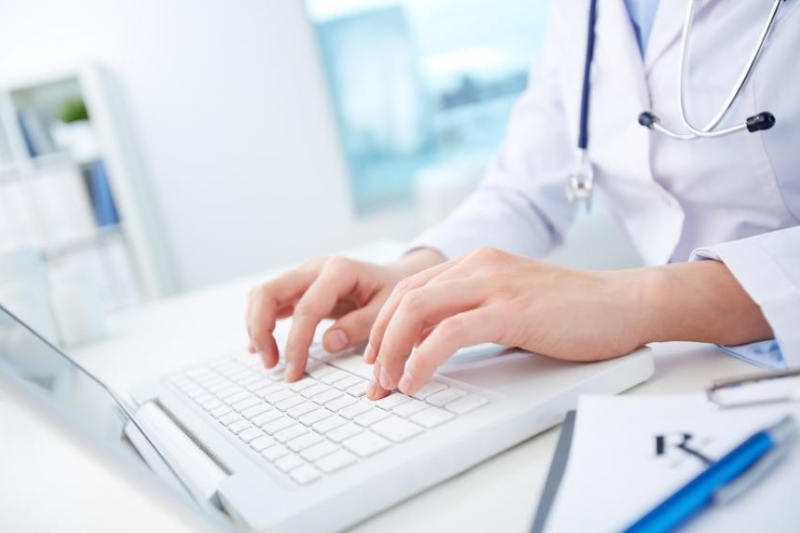 The most important piece of equipment you’ll need and use throughout your medical education is a laptop. Your laptop will be your best friend. It will likely go with you everywhere. It will store your papers, assignments, and class notes. You will use it to conduct endless hours of research and send countless e-mails to fellow students and professors. Before you run out and buy the cheapest one, consider your options and which features will benefit you the most and make your learning as simple as possible. For your researching pleasure, advice on which laptop features are the most crucial to have, along with the 4 best laptops recommended for medical students are forthcoming. If you have ever attempted to do important work on an ill-chosen laptop, you know the dangers. Papers you save but don’t actually get saved, things getting deleted too easily, battery constantly running low, programs crashing, and losing Internet service can cost you a lot in terms of time and stress. Since there are numerous options to choose from in the current laptop marketplace, a little due diligence to find out your best options could be the most proactive step you can take towards starting your medical training and education off on the right foot. When it comes to crucial requirements for your laptop, these are excellent places to start: processing power, memory, storage, battery life, weight, graphics, and price. When it comes to processing power, you will want to go with the newer generation of processors as they will be much faster than each proceeding generation. If you don’t entirely understand what ‘processing power’ means, don’t worry; you are definitely not alone. Everything a computer does involves breaking information and problems down into math. A computer’s processing power refers to its ability to quickly process complex calculations. Going with an Intel Core i5 or i7 U-series processor are both good choices when it comes to speed and power. Although you will be using your laptop on a daily basis, unless you will be using it for gaming in your free time, you will not need to go with an Intel processor with an ‘H'(i7-8750H) on the end of it. These processors are much faster, but that speed will cost the computer in terms of battery life. Memory is a biggie. You will want your laptop to have enough memory for everything you want to store on it. What you don’t want to be doing is constantly deleting older files to make room for new information; then you will likely find yourself needing older information that you had to delete and having to find it again. Again, just as in the case with processing power, laptops being used for additional things like gaming or editing videos will require more memory (RAM), but a laptop that is strictly being used for school will not need as much. When it comes to pricing and memory, most budget laptops will have 6 GBs of RAM; laptops that are under $1,000 will have 8 GBs; laptops over $1,000 will have 16 GBs. For the strict purposes of schooling, a middle-line option of 8 GBs should suffice. Storage is pretty self-explanatory. The more storage your laptop has, the more space there is for data before you run out. The storage space on a laptop is partially determined by the type of hard drive it has. There are two main types of storage drives in laptops: SSD and HDD. SSDs are known for their speed but don’t have as much storage for what they cost. HDDs have more storage space and are cheaper. For students, an SSD is a more favorable option. Since they are faster, this will equal a speedier laptop, and most often, there is not a huge need for a student to have a large hard drive. For an SSD, you can go with a 128 GB, a 256 GB, or a 512 GB storage drive. For school uses, a 256 GB drive or higher is recommended. Generally speaking, most 128 GB drive laptops are under $600; 256 GBs are under $1,000; 512 GBs are $1,000 and up. If storage space is your top priority, go with a 1 TB HDD. It will be slower, but if an SSD isn’t within your budget and you still need that large amount of storage space, a hard drive might be your best option. Battery life refers to the amount of time the laptop’s battery can power the computer before it needs to recharge. It is recommended that medical students opt for laptops with at least 8 hours of battery life available to them. This would mean a full day of use and charging it overnight so it is ready to roll the next day. At first thought, when compared with categories like battery life and storage, ‘weight’ doesn’t seem all that important. Just think how heavy those textbooks are, how heavy your bag will be, and how much time you will spend hauling that stuff everywhere throughout the day. Campuses are large, and adding a heavy laptop to your book bag is the last thing you will need. When perusing your laptop options, find one that is neither bulky nor heavy; your back will thank you for it. Graphics refers to the onboard graphics processor, aka ‘GPU’. Again, if you are not using your laptop for some intense gaming, this feature will not affect you all that much. Most laptop processors come with a standard GPU that is more than ample for daily use and entertainment. If, however, you are wanting to play the latest games in your free time, your laptop will require a GPU from Nvidia. For a middle-line option, the GeForce GTX 1050 will suffice; for an upper-range GPU, the GTX 1060 or the GTX 1070 would satisfy. 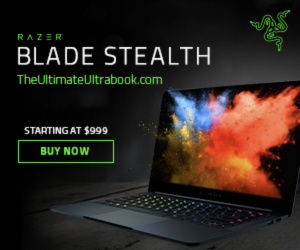 So having discussed the most important tenets you should consider when shopping for your laptop for medical school, we will now move on to which actual laptop models are the best and why. If your laptop budget is not bottomless but you still are in need of a fully-stocked computer, the Acer Aspire could be your best option. For basic medical school uses, this laptop checks all the boxes for your daily requirements. 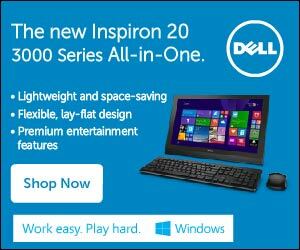 It features an entry-level processor, enough RAM, and a long battery life. The downside is that the battery makes it the heaviest of the four recommended, but perhaps that is the cost of it being the most affordable option. At $360, this budget laptop is a valuable tool for students tackling medical school, and its lack of SSD storage can be upgraded for $70 to $150; an M.2 SSD would add a few years into its lifetime. If you are okay with the extra dollars to upgrade the SSD and its heavy weight, the Ace Aspire brings the best performance to the table in its budget price range. For $700, the newest Asus ZenBook UX offers great performance for its price. Its newest generation processor, i5-8250U, and solid-state drive make it the fastest laptop on our list. It has the added benefit of being smaller and easier to tote around. It has a good battery life at 8 hours and a micro HDMI for external displays and three USB connectors, one of which is compatible with the Type C used by the newest tablets, notebooks, and phones. It seems super high tech with its built-in fingerprint reader for quick and easy logins. No need to worry about anyone stealing your papers from your laptop with this one! Here are the drawbacks: the SSD is not super fast but is still faster than a computer without an SSD. The i5 Intel processor, however, is very fast, but the downside to that is that it is at risk of overheating after long periods of use. 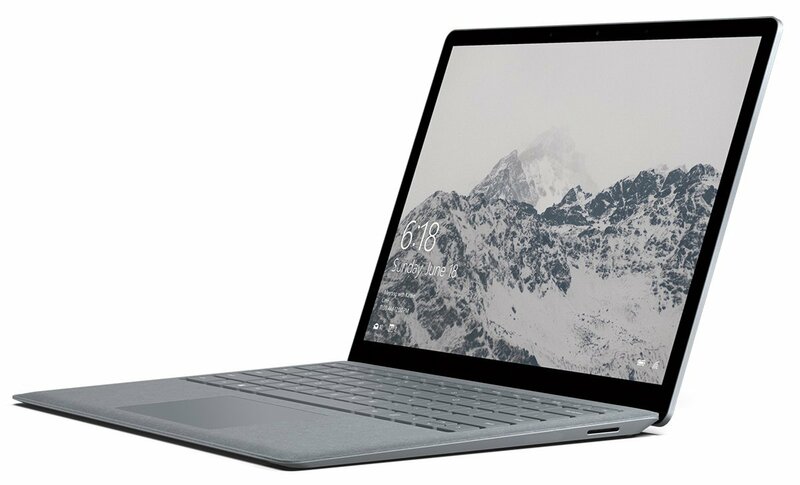 For $1,050, the Microsoft Surface laptop is the most expensive, but let’s take a look at why. The Microsoft Surface is extremely lightweight making it ideal for studying on the go. The extended battery life of 8-to-14 hours makes it the perfect tool for those all-night cramming sessions. The biggest drawback to this laptop is the lack of ports. With one USB 3.0 port, a headphone jack, and a mini display port, you might want to either use the built-in mouse pad or opt for a wireless mouse to free up that USB slot. 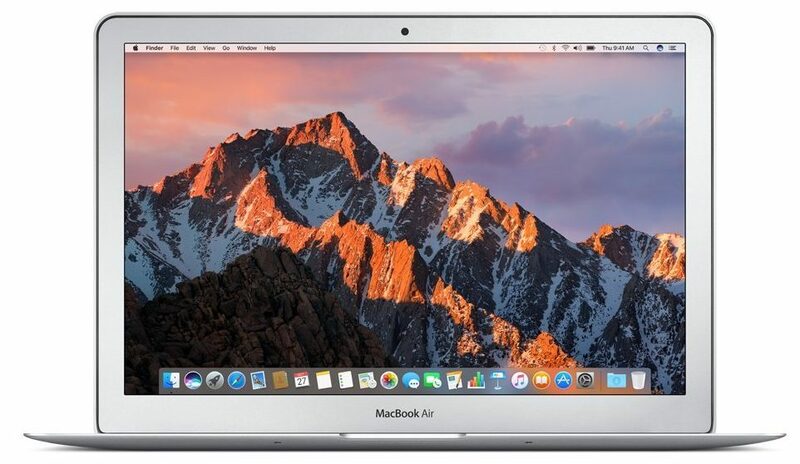 At $1,000, the Apple MacBook Air is regarded as one of the best deals in the coveted Apple Brand’s product line. Students, in particular, love the MacBooks, partially due to their longevity of over 5 years of consistent usage. These laptops, while expensive, are considered an investment. These laptops are durable and long-lasting, which is exactly what you will want when heading to medical school: a laptop that will see you through from start to finish. As always, there are a few drawbacks. The Intel i5 processor is not the newest generation so is a touch on the slow side. Its 128 GB SSD does mean a limited storage amount. For the average user, this could be more than enough storage, but if you are someone that wants their computer filled up with numerous applications, movies, and music, the storage could be lacking for you. If you like the MacBook features but are concerned about the store space, there is the option of going for the newest MacBook 12″ that is slightly smaller but has twice the storage space. That extra storage will cost you, however, to the tune of an added $300. To go even further, for twice the price of the Apple MacBook Air, you could consider the MacBook Pro 15″, which would give you all the aforementioned perks, plus ample speed and storage. So there you have it: the top 4 laptops recommended for medical students and the reasons why. All of the laptops on the list are acceptable choices for medical students. 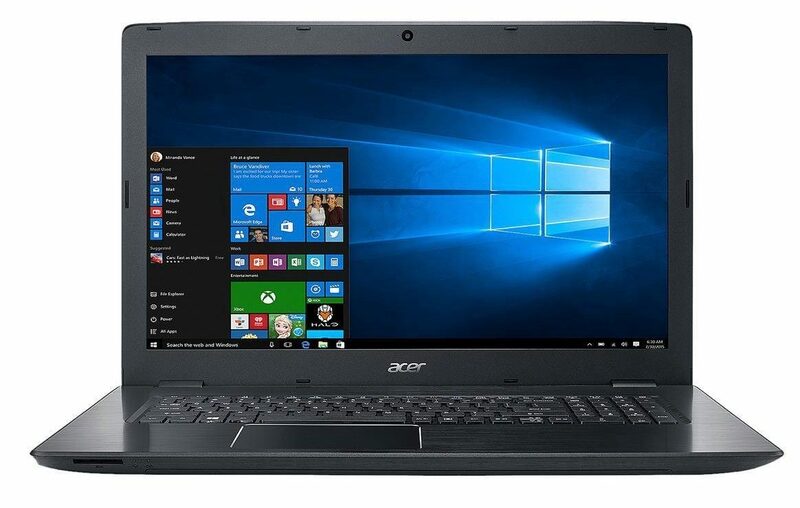 The Acer Aspire will suffice for the average user on a budget, but the possibility of it needing an update a few years after purchasing it is likely as it will become outdated. 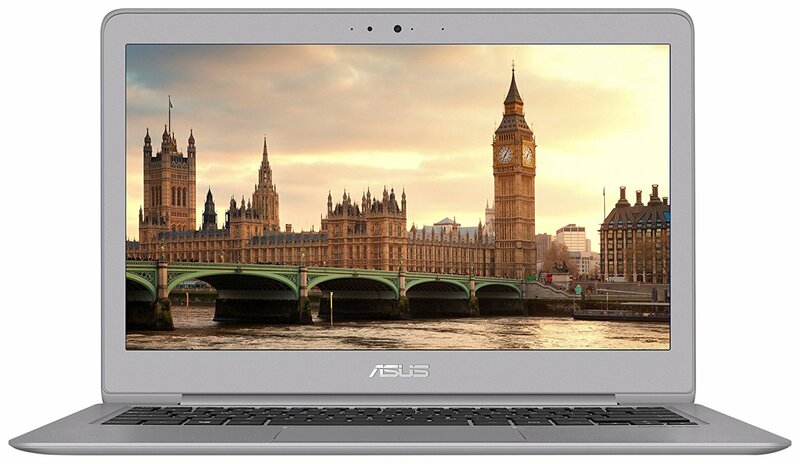 The Asus Zenbook is a great choice for its price point which carries a new-generation ultra-fast processor, but as a result, steps will have to be taken to prevent overheating. The Microsoft Surface is regarded as the most versatile and innovative option thanks to its tablet and touch-screen capabilities. The MacBook is a fan favorite of students who favor its longevity and consider it a worthy investment. When it comes to investing in a laptop for medical school, you are already making a good choice by reading this and doing some research beforehand. Now that you know what features are important and why, you can explore the numerous laptop models and brands available and decide which will be best suited for your needs. Every student has a different budget and varying priorities, so whether it is affordability, speed, memory, storage, battery life, or size that is the most important, you will be able to find all your wants and needs bundled together in one tide techie cube-shaped package. 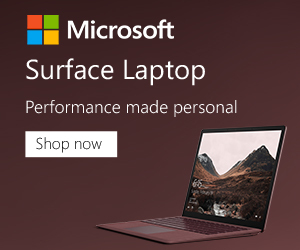 From the Aser Aspire to the ASUS ZenBook, the Microsoft Surface to the Apple MacBook, let your laptop be your guide on the road to accomplishment.